Google Analytics can track users journey towards the completion of an action. By measuring the effectiveness of a CTA in real-time, plumbers can assess whether or not changes should be made to increase conversion rates. User behavior once on your website influences search engine optimization so a well constructed call to action can actually have an even greater impact on online presence than many anticipate in 2019. An increase in rankings and an increase conversions is a great combination. Whether the CTA is present directly on your website or on a PPC advertisement, these qualities apply. If focused on a call to action for your PPC campaign make sure that the landing page corresponds with the CTA. For example, if the action is to click on your website to find plumbing services, it is important that the landing page has its own call to action which would finally convert the website visitor from an interested party into an actual lead. While CTA’s are commonly associated with websites and PPC ads they can also be used on other forms of digital marketing. One such example of this is social media posts. Boosted Facebook Ads have calls to action and their effectiveness is heavily reliant on the concepts discussed throughout this page. Even YouTube videos can have calls to action both on the video itself as well as within the description. The same can be true of tweets and IG posts. Plumbing Webmasters is a one stop shop for all of your internet marketing needs. We cover the full digital spectrum, incorporating CTA’s through each of your marketing channels. You are never locked into long-term commitments. 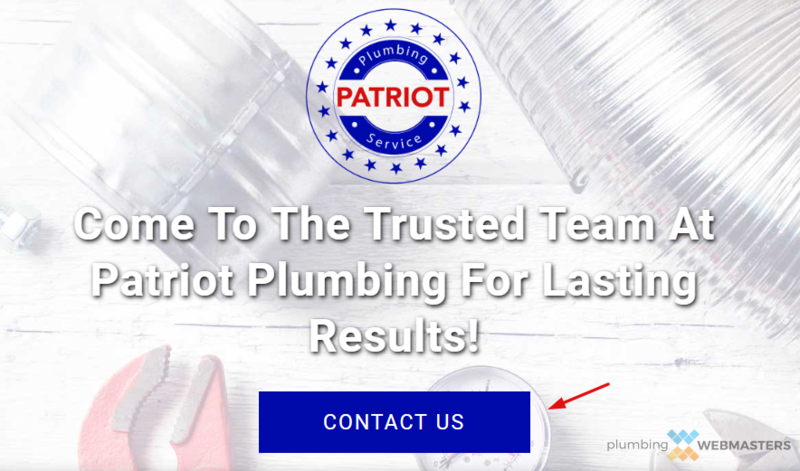 Having designed hundreds and hundreds of plumbing websites we know what it takes to rank local plumbers for relevant keywords and to convert visitors into leads with calls to action including clickable phone numbers. Updated on April 11, 2019 at 8:09 pm by Plumbing Webmasters.